In an attempt to overturn the 'Liba' studies law, haredi MKs propose bill to do away with influence of previous government's reforms. 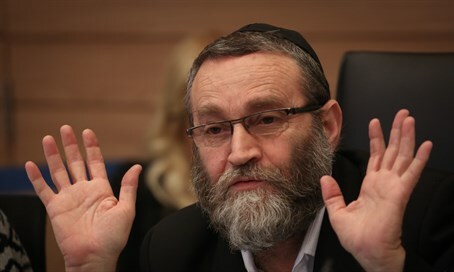 MKs Moshe Gafni (United Torah Judaism), Uri Maklev (UTJ) and Ya'akov Margi (Shas) submitted a proposed bill that would undo a law that was passed by former Finance Minister Yair Lapid (Yesh Atid) and former Education Minister Shai Piron (Yesh Atid). By undoing the law, they intend to remove the criteria put in place for haredi schools to receive funding from the government. The current law states that schools that are recognized by the state but are run on their own school system can receive funding from the government if they meet certain educational criteria, among them teaching math, English, and science. Another criteria that must be met is that there be no discrimination in terms of accepting students whether it be from Ashkenazic or Sephardic backgrounds. The proposed bill hopes to do away with both of these criteria that were set up by the previous government for all such schools, which includes the haredi school system. According to a report on Army Radio, the haredi parties are attempting to do away with all of the reforms that were made by the previous government regarding the subsidies of the haredi school system. According to the new proposal, which is being brought up in the ministerial committee, the haredi parties would like to place the decision in the hands of the Education Minister to determine which school systems receive the subsidy, without the use of these criteria.